Galloping Guppies! Mickey Moose Comic Book#1 is finally here! Mickey Mart Foodstores has developed a novel and exciting way to entertain customers of all ages. In a nod to the past, the Milan-based convenience store chain has created a comic book featuring the adventures of their new corporate mascot, Mickey the Moose, The Amazing adventures of Mickey Moose Comic Book #1! Mickey Mart Foodstores has developed a novel and exciting way to entertain customers of all ages. In a nod to the past, the Milan-based convenience store chain has created a comic book featuring the adventures of their new corporate mascot, Mickey the Moose. The Amazing Adventures of Mickey Moose Comic Book#1 is available at all Mickey Mart Foodstores NOW! The 20-page comic book features Mickey and his canine buddy Mojo in a wild adventure taking them all across Northern Ohio. Readers unravel puzzles and clues along with Mickey to find each unique location and rescue his missing friends. The Mickey Moose comic book can be enjoyed by kids and adults! The comic book is aimed at younger readers but will also be enjoyed by adults. Mickey Mart didn’t want to create an ordinary comic story for Mickey the Moose. 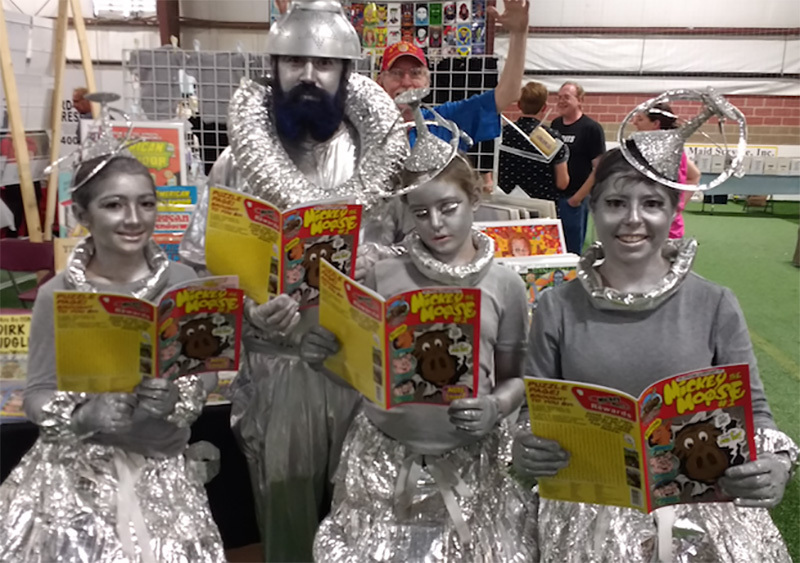 In addition to entertaining their customers, they wanted to use the comic to teach readers fun things about some of the places that make Northern Ohio so special. Included in the fast-paced adventure are visits to the glacial grooves on Kelleys Island, the Armor Court at the Cleveland Museum of Art and the classic fiction stacks at the local library. The Mickey Moose comic book teaches and entertains! Neighborhood firefighters, librarians, local wildlife and even Ohio’s own Thomas Edison are featured in the exciting adventure story. 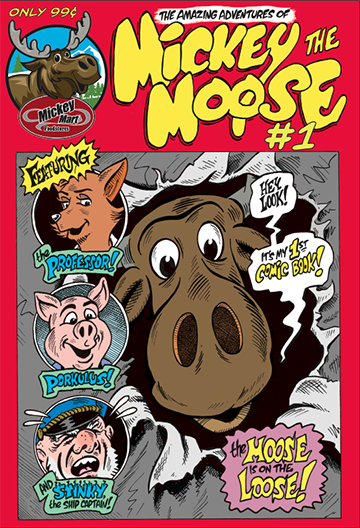 The Amazing Adventures of Mickey Moose Comic Book #1 also includes puzzles, games, jokes and letters from young readers, and sells for a mere 99¢! Only 3000 copies of the collectible comic book are in print, so they won’t last long. The comic is available at all Mickey Mart Foodstores. A complete list of store locations can be found at www.mickeymartfoodstores.com. Check out all the Mickey Moose Comics HERE!